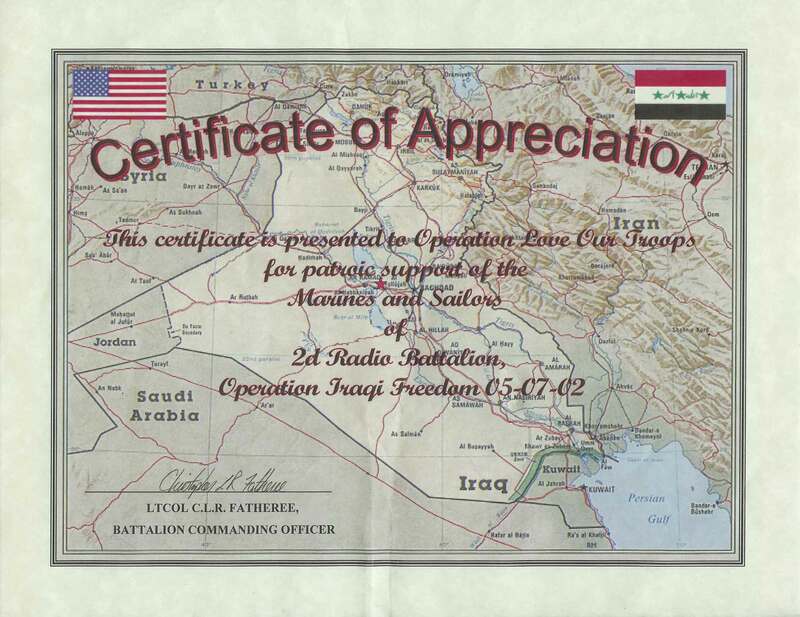 The personnel from Kuwait and I would like to thank you for the gifts of food that you sent. 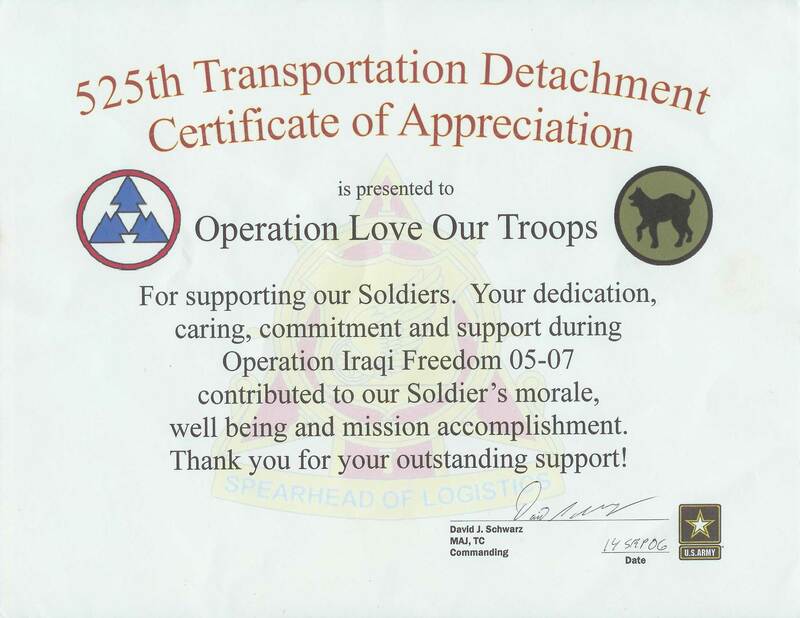 Operation Love Our Troops would like to thank all those who contributed supplies and support for the military today. It was a chilly, blustery day, yet the warmth of kindness and sincerity warmed the hearts of all. Who are so proud of our sons and daughters. We would like to thank all the people who donated supplies for the care-packages. Thank you for your generosity and kindness. Thank You to all those who shared that they have a loved one serving, we know that is not an easy thing to do. We would especially like to acknowledge all those who contributed today who have served in the military.